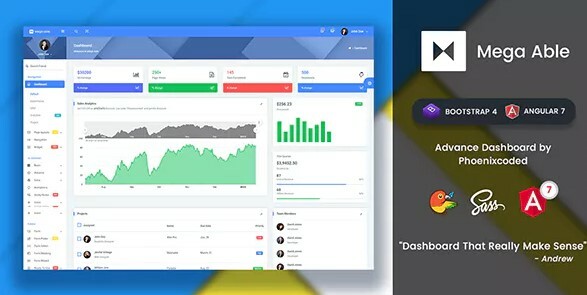 Mega Able Admin Template – is fully responsive admin template design & developed by Phoenixcoded. It has 4 layout options, 100+ widgets, many UI elements, graphics, forms, tables, 4-level menus, and more. This is the perfect template for your projects with a management system!